Mathematica Policy Research released a study earlier this week looking at the effects of KIPP pre-K on student achievement. Yes, that’s right — KIPP doesn’t just run charter schools for K-12 students; where it can, it also offers pre-K. The study looks at the impact of KIPP pre-K and elementary for a randomly selected group of children in Houston and Washington, D.C. and at the effects of KIPP pre-K for a larger sample of students in six states. The results, which have gotten attention on The 74 and other outlets, are promising for proponents of pre-K. In 2015, Sara Mead, a fellow Bellwether education analyst, and I conducted the first national review of state policies related to pre-K and charter schools. At the time, we knew that both charters and pre-K, when done well, can be extremely powerful for children. We hypothesized that, combined, they could produce even greater effects. The most recent Mathematica study bears that out. A key finding is that both KIPP pre-K and KIPP elementary schools are good—but the combination of both is even better. Children who attended a KIPP school from pre-K through second grade had higher math and reading achievement than their peers who attended other schools. The study also found that KIPP students who started in pre-K may have an advantage over KIPP students who started in kindergarten, particularly for reading outcomes. Our research found nearly a 1,000 charter schools serve preschoolers in many states — but we also found they often face substantial barriers in doing so. Specifically, current interpretation of policy in nine states prevents charter schools from opening a pre-K program. Ohio’s charter law, for example, says charter schools can only admit students between the ages of 5 and 22. Other barriers are more subtle: Some states don’t allow charter schools to automatically enroll pre-K students into their kindergarten program, or only allow school districts to determine which schools receive pre-K funding. Many of these laws weren’t intended to prevent charter schools from serving preschoolers. But enabling KIPP and other charter schools to serve more preschoolers will require policy changes in some states. KIPP runs schools in a variety of states where state policy makes it easy for charter pre-K programs to exist — like those in D.C. and Texas — but also in states where policy creates obstacles. 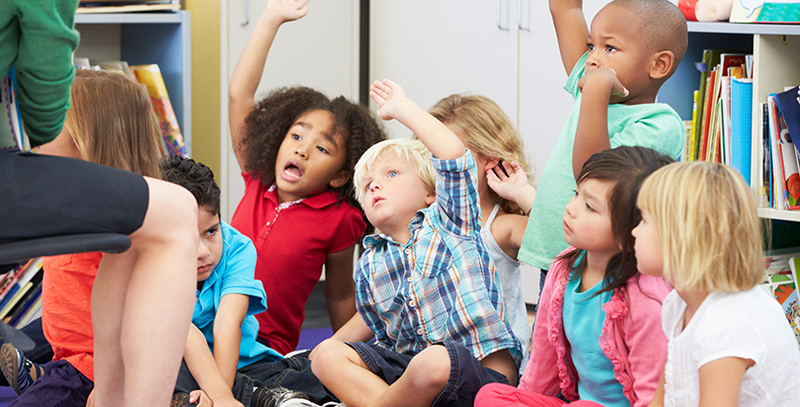 These states are missing a potential opportunity to amplify both pre-K and charter benefits. This study is particularly valuable because it was able to follow preschoolers through second grade in KIPP schools. That’s somewhat unique among studies of pre-K programs. Mathematica found that the combination of KIPP pre-K and early elementary had a strong, positive effect for children through second grade but that non-KIPP students were able to "catch up," on one measure of reading, between kindergarten and second grade. In other words, children’s experiences through early elementary school affect their growth trajectory. This finding affirms recommendations from a recent consensus panel of early childhood researchers: "Children’s early learning trajectories depend on the quality of their learning experiences not only before and during their pre-K year, but also following the pre-K year. Classroom experiences early in elementary school can serve as charging stations for sustaining and amplifying pre-K learning gains." Other research, such as the evaluation of the Chicago Child-Parent Centers and a recent study of the effects of Head Start, also suggest that improvements in elementary school quality can amplify the effect of high-quality pre-K and yields the greatest boost for kids. The KIPP pre-K programs in this study combine high-quality early learning with a range of health, family, and other services such as speech, physical, and occupational therapists and social workers; parent education and family engagement; health screenings; and referrals to outside services. Public policy debates about preschool, and education more generally, often present a false dichotomy between education reforms like charter schools and strategies that emphasize meeting children’s holistic health, social, and other needs. This study shows that it’s possible to provide comprehensive services within a high-performing charter school model that also prioritizes rigorous academics. In its simplest form, this study asks, "Does KIPP's charter pre-K program work?" Its findings suggest that pre-K can yield benefits for kids, so more charter schools may want to consider adding pre-K to their offerings, and states should eliminate policy barriers that prevent them for doing so. But it doesn’t help charter school leaders — or other early childhood educators, for that matter — decide what their preschool programs should look like. To be more useful for program design, future research should ask, "What aspects of this charter pre-K program are effective? For whom or what group of students? On what different outcomes or indicators? Under what circumstances?" Looking more closely at the practices of high-performing programs—as we do in Education Next and as a recent ConnCAN report also does—is a promising starting point. Taken together, both the study’s findings and its practical and policy implications suggest that high-quality charter pre-K programs are a promising opportunity for children. Andy Rotherham co-founded Bellwether Education Partners. He sits on The 74’s board of directors and serves as one of the site’s senior editors. Ashley LiBetti Mitchel is an early education senior analyst at Bellwether Education Partners.